SANTA MONICA — The 20th annual Japan America Kite Festival, the largest Japan-related kite festival in Southern California, will be held Sunday, Oct. 16, from 11 a.m. to 4 p.m. at a new venue, Santa Monica Pier, near the intersection of Ocean and Colorado. Come with family and friends to enjoy Japanese and international kites of all sizes and colors. The festival will feature a kite workshop and games for children, Japanese food and cultural booths, giant show kites, kite candy drops for kids, kite battles, stunt kite demonstrations and much more. Introductory lessons on precision sport kites will be given by world champion Ken Emi. The Japan America Society of Southern California annually hosts Hitachi Japanese kite workshops, inviting a traditional Edo kite master from Japan to benefit underprivileged children in the greater Los Angeles region. The master will have a variety of kites for you to see up and close, and demonstrate how to fly a Japanese-style kite. Don’t miss his famous 160-yard U.S.-Japan train kite. Entertainment will include taiko drum performances and traditional Japanese folk dancing. Presented by JASSC, the festival is held annually in early fall. 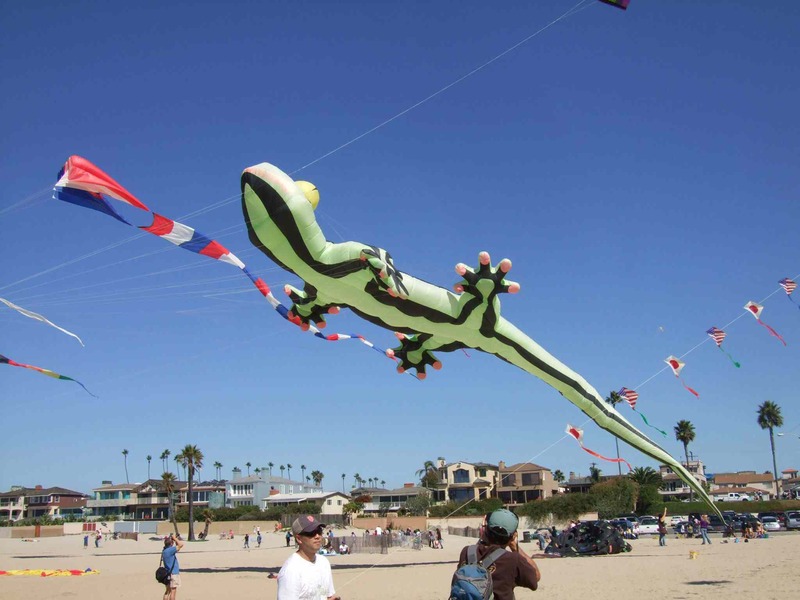 Initiated in 1996 by Up Up & Away Kites and Up Up & Away Kite Club in Seal Beach, the festival was joined by the JASSC in 2000, when the festival also took on its current trademarked name. The festival attracts over 12,000 visitors and it is dedicated to educating the general public about the joy of kite flying and the variety and styles of kites, with a growing focus on Japanese kites and traditional Japanese kite making. Admission is free. For more information, visit www.jas-socal.org/JAKF. For directions and parking information, go to http://santamonicapier.org/visit/. Go Metro and receive a free kite and Bruce Tea while supplies last. Take the Metro Expo Line to Downtown Santa Monica Station and walk four short blocks to the Santa Monica Pier. For your best route, use the Metro Trip Planner or call (323) Go Metro (466-3876).